You thought that The Netherlands is flat? Think again! We actually do have some hills (mountains in my opinion haha!). 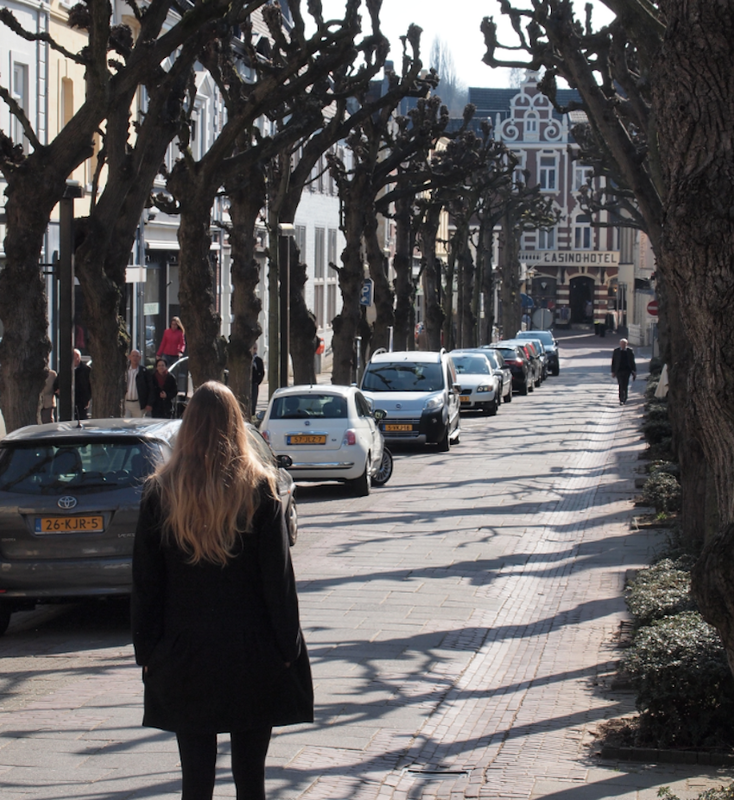 My boyfriend Chris and I visited the province Maastricht, in which most of the Dutch hills are located. 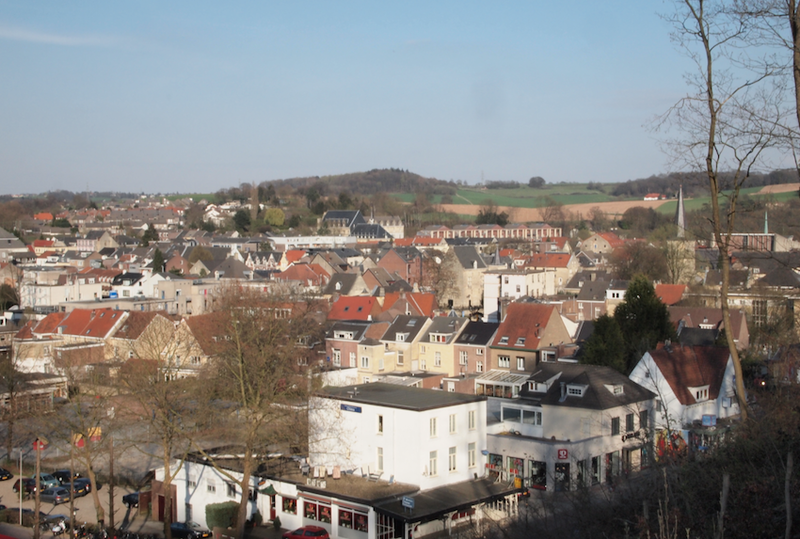 We stayed near an old city called Valkenburg. 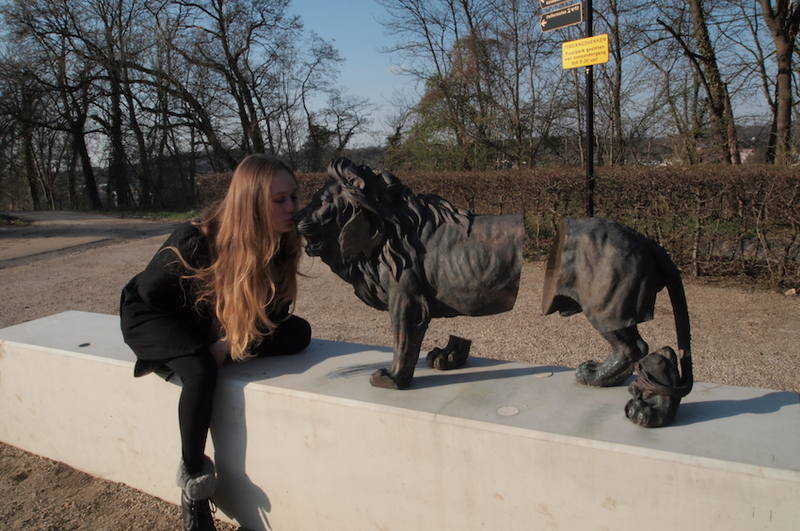 This Travel Thursday post sees me being a tourist in my own country. First let me show you the beautiful area around the hotel we stayed in. 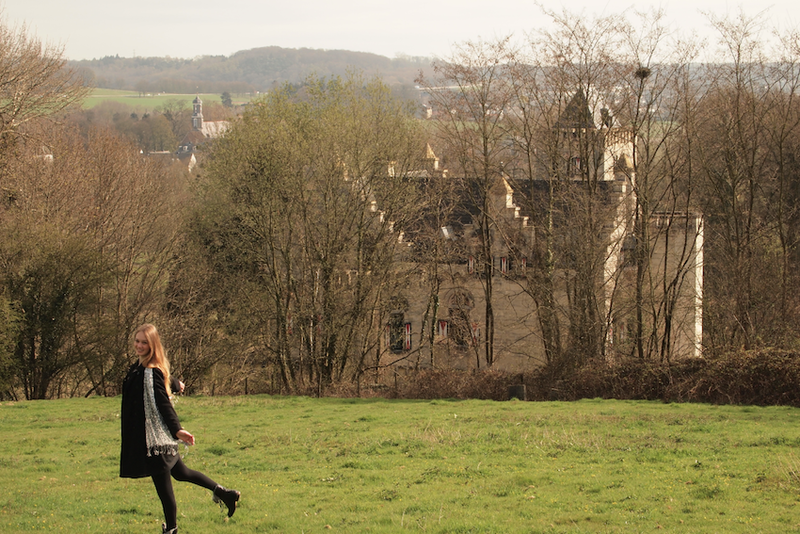 We stayed a 10 minute car ride away from Valkenburg itself. I’m really glad we chose this hotel because the area around it was lovely. Chris has been in The Netherlands for a while now and he had never expected there to be a place like this. 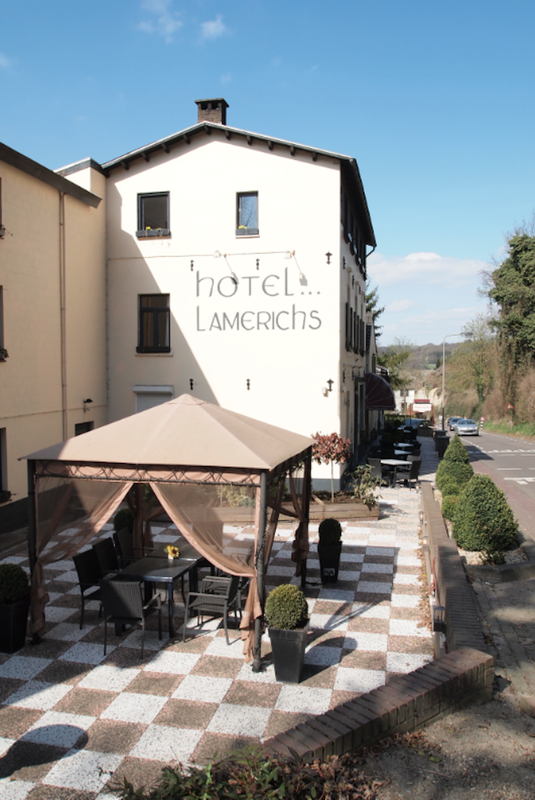 This beautiful hotel was the cheapest choice out there. I think we paid 25 euro each. There was a small road running next to it on one side. On the other side was a beautiful field. 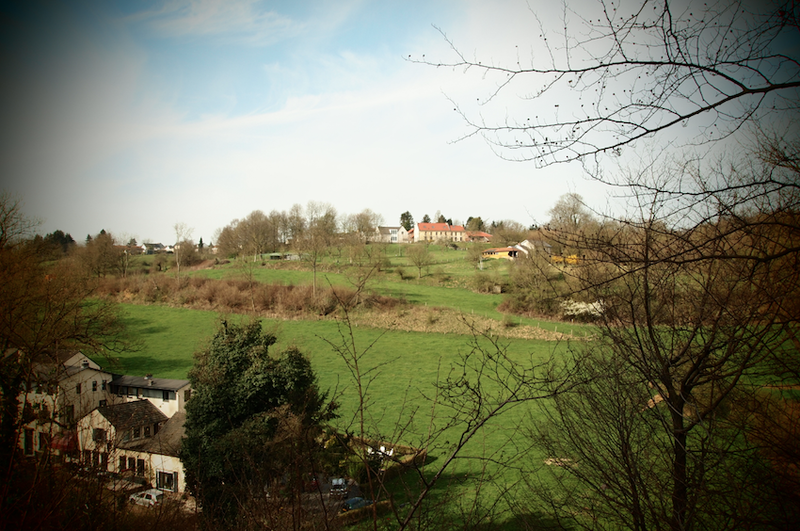 The view from our bedroom window was amazing. In the bottom left corner you can see our hotel. The hill behind it really closed you off from the rest of the world. I loved it! Pretty steep right? On one of the morning of our stay we decided to hike up the hill you see on the right side of the picture. The view from the ‘top’ was magnificent. 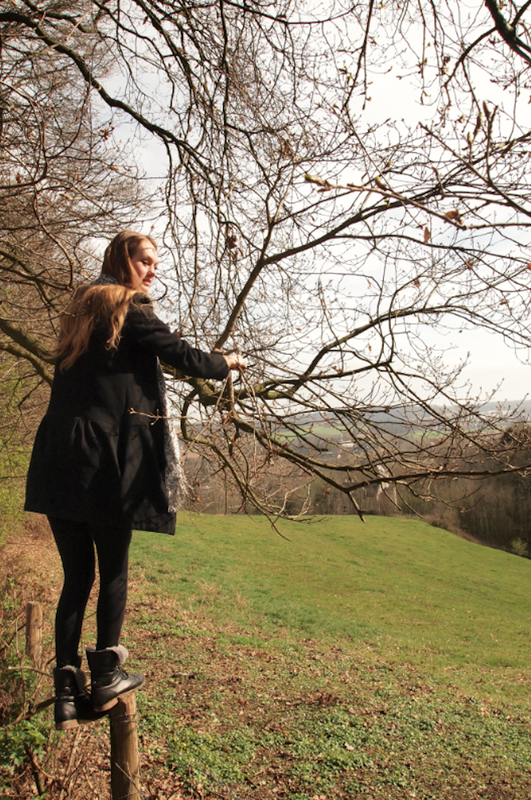 Climb over the wire fence and…. Run down! Don’t you love that feeling you get when your running down a hill? 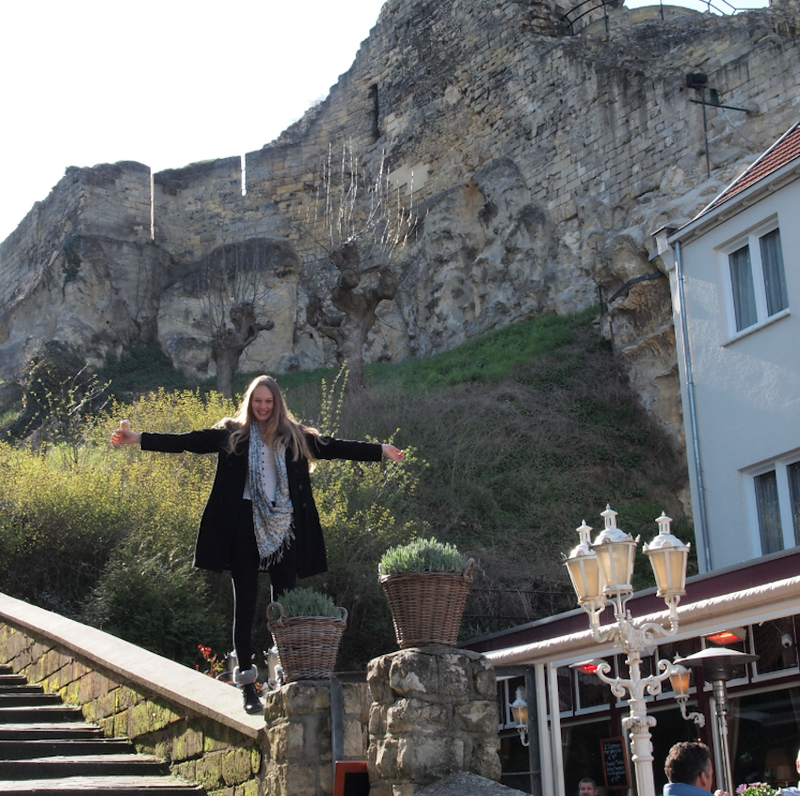 One of my favorite cities in The Netherlands is Valkenburg. It is quite a famous city so parking wages are high. If you’ve been reading this blog for awhile you might know that I’m cheap. I especially dislike paying for parking. 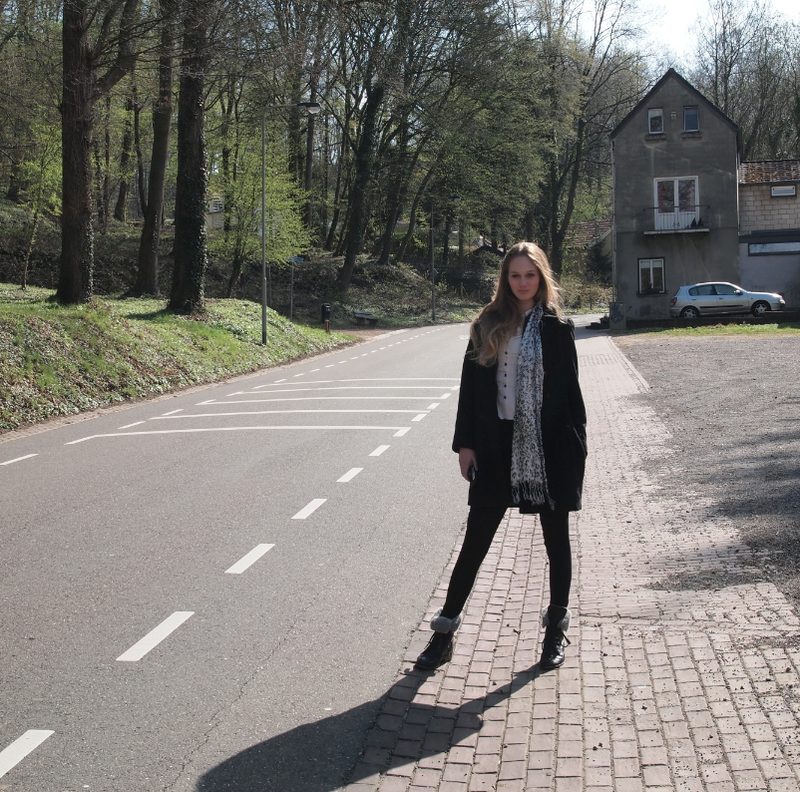 Therefore I was determined to find a place in Valkenburg where we could park for free and surprisingly I found one! A long street next to the train station called the Parallelstraat. 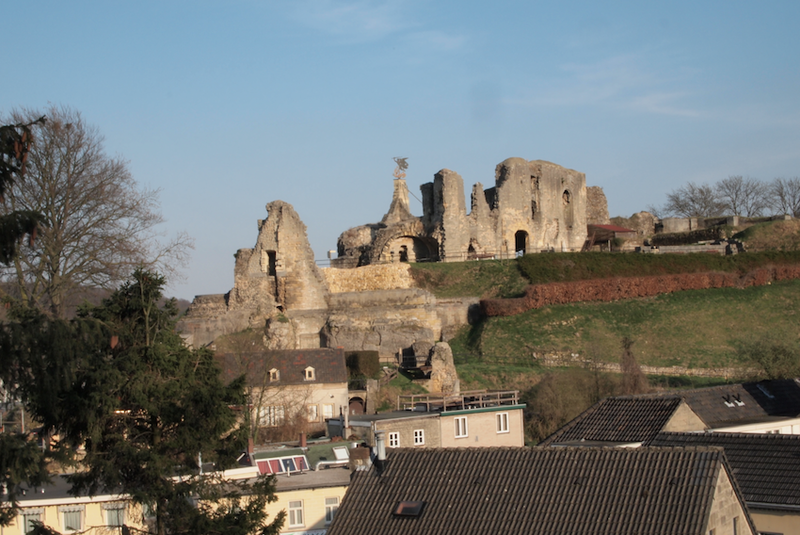 Valkenburg is known for it’s marl stone caves. 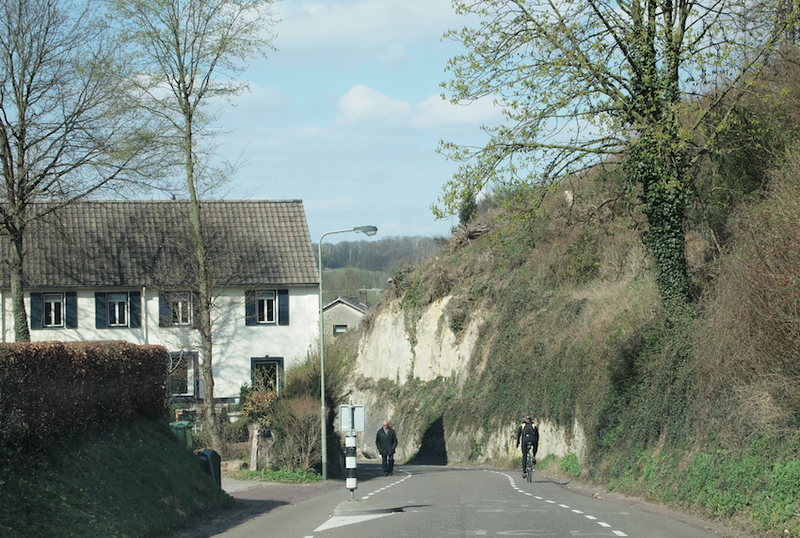 You’ll find the oldest cave in the whole province of South Limburg here. Time to explore the city! 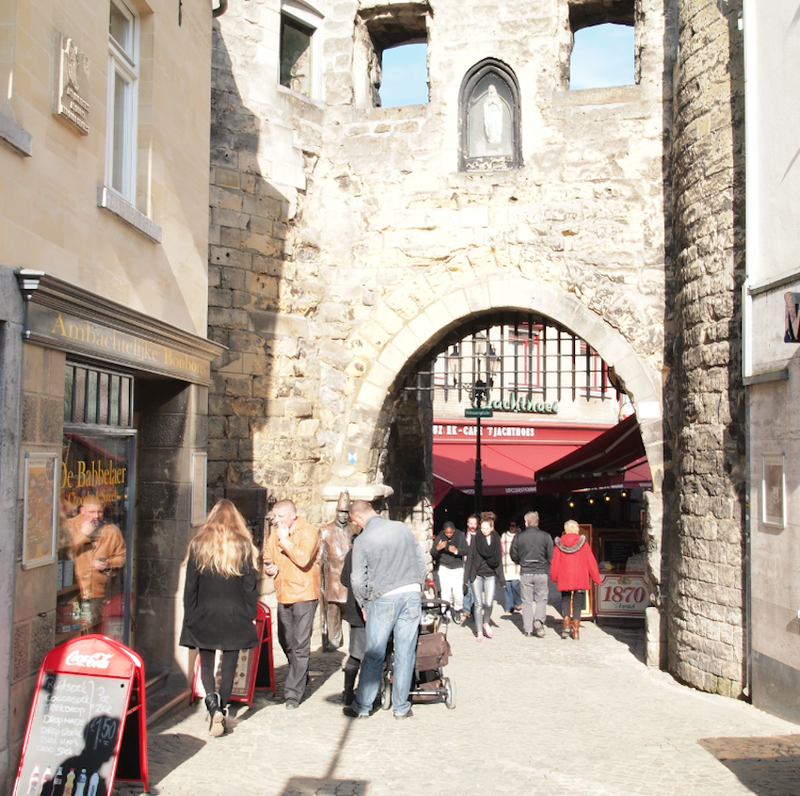 A part of the old city wall. 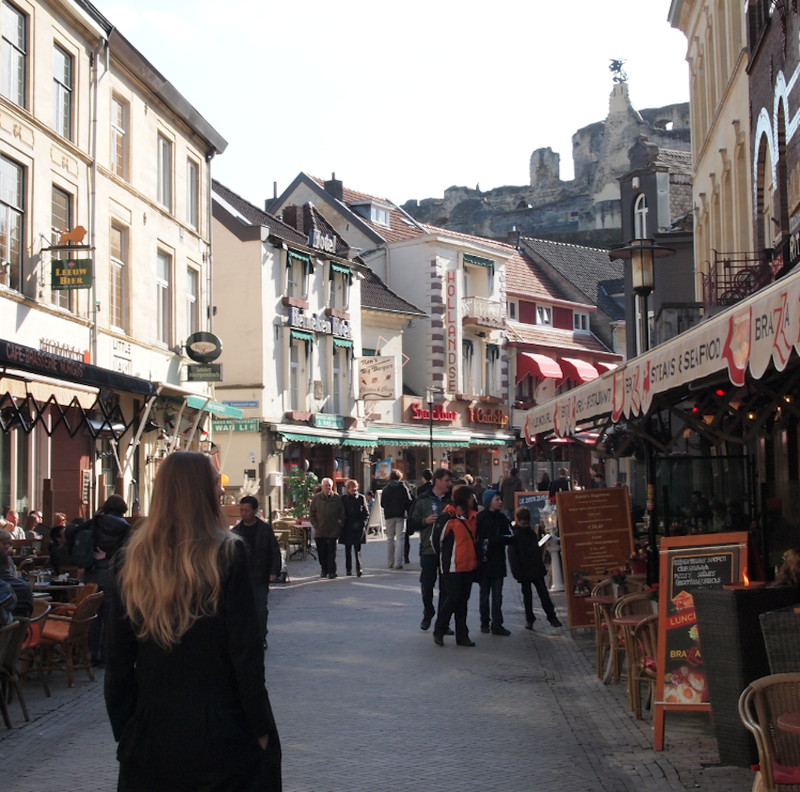 There are many cute cafes in Valkenburg. 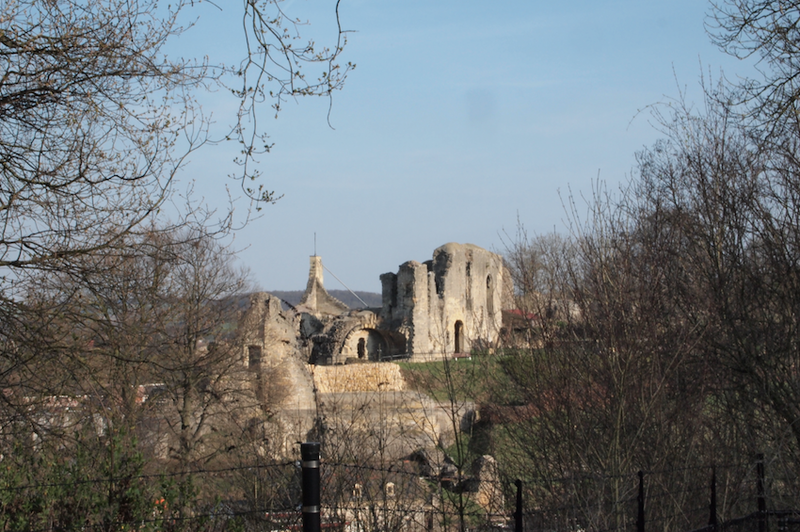 At the end of the lane you can see the castle ruins of Valkenburg. I really wanted to visit those ruins, but unfortunately we arrived fairly late and the place was already closing down. 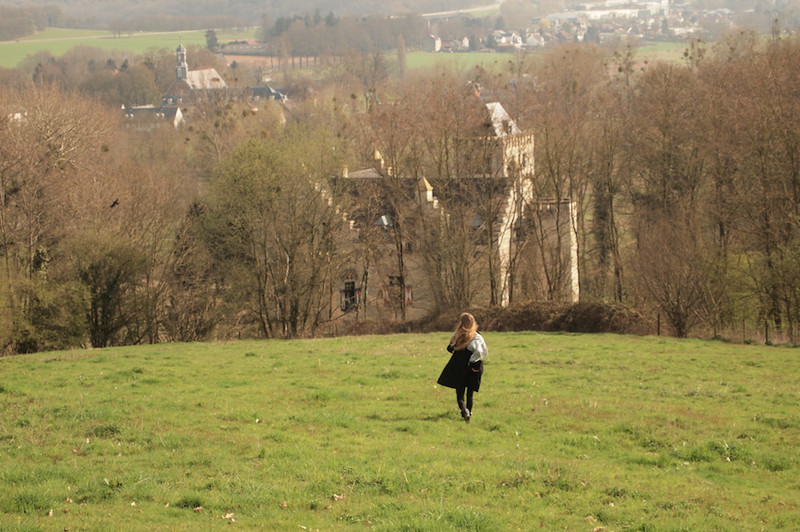 I wanted to at least take a closer look at the castle so we decided to climb up a nearby hill. castle ruins! And best of all? We didn’t have to pay entrance fees to see the castle! I admit that the actual view of the ruins from the mountain was a bit further away. Chris zoomed in with his camera. But it was still pretty good (and free!). My hair was still long during this holiday. I must admit I kind of miss it, but I don’t regret donating it to charity! A lot of people think the only thing The Netherlands has to offer is Amsterdam. Believe me, there is so much more! If you plan to visit I highly recommend you don’t just stay near the coast. 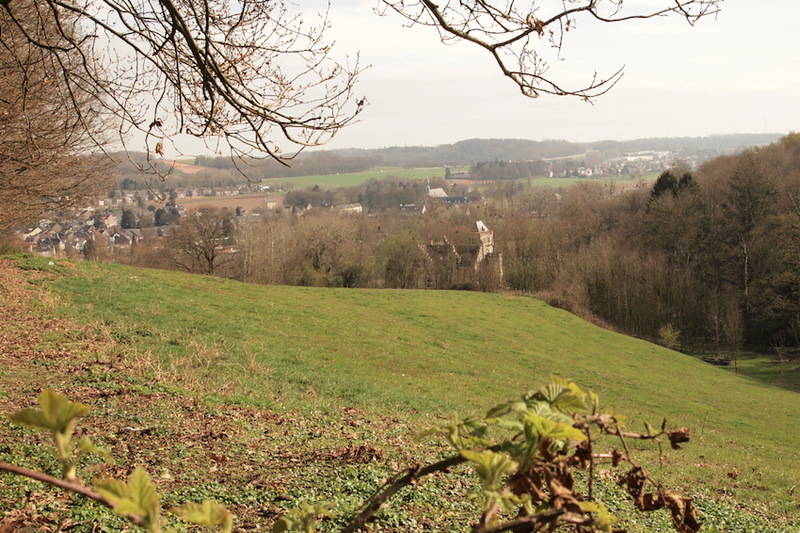 For example check out the province of Limburg. I promise it won’t disappoint you! Dat is leuk he wanneer je een plek die je heel goed kent door de ogen van iemand anders bekijkt! En ik heb exact dat zelfde gevoel bij Valkenburg! Daarom wilde ik mijn vriend ook heel graag hier mee naar toe nemen. Ik wil heel graag weer terug (deze foto’s zijn alweer van een tijdje terug!). Het is echt een aanrader, zeker rond de Kerst!